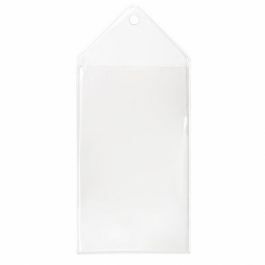 Create a professional display with a Hanging Vinyl Bookmark Sleeve. 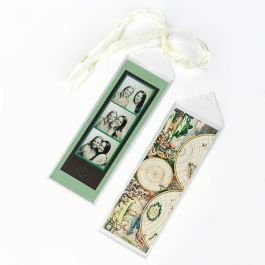 HBM2 measures 2 3/16" x 7 1/8" and is ideal for holding bookmarks, charm/beaded bookmarks, photos, and artwork. 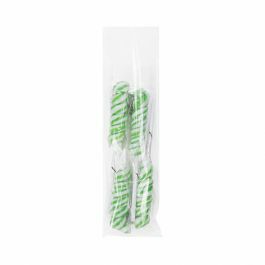 It features a punched hole to attach ribbons or tassels or to use for standard peg display. Acid-free and made from clear 7.5 mil thick vinyl. 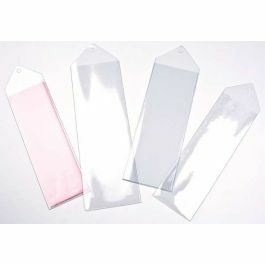 This Hanging Protective Vinyl Bookmark Sleeve keeps your creations safe from normal wear and tear. HBM2 measures 2 3/16" x 7 1/8" from the top of the bookmark opening and is more narrow than our HBM1 sleeve. 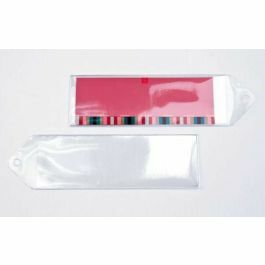 This sleeve works great for a variety of bookmark creations, including beaded and charm bookmarks, photos, and artwork. 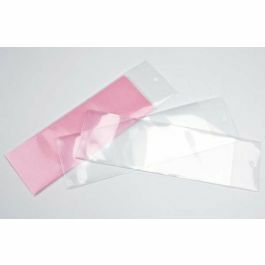 The material is made with 7.5 mil thick clear vinyl, so your crafted endeavors are protected from dust and frequent handling. 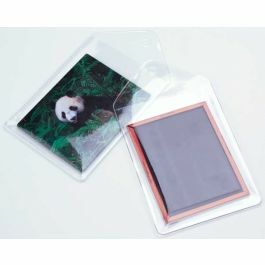 Your contents show through this clear sleeve and create a professional display. A punched hole is located at the top of hanging space ready for a colorful ribbon or peg display. Acid-free. Outer Dimensions: 2 3/16" x 7 1/8"
The primary use for HBM2 is to hold bookmarks that fit up to 2 3/16" x 7 1/8"